Our Success Story! | Looking great at your weight. Here is our space to discuss our success stories. 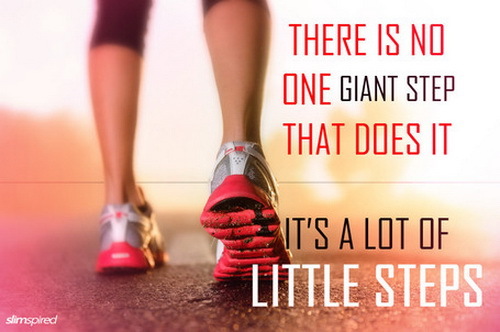 No matter how small. After all you need to take small steps before you take the big steps. For instance park your car a couple of blocks away from your distination. That way you can walk a little. If your unable to walk because of your weight? Do your exercises on your bed. That’s just fine. Don’t give up! Don’t give in! I myself go to my neighborhood park and do about 5 laps almost everyday. Believe me I see results! Don’t get discourage if you don’t see results right away. Keep going until you see results. I agree, don’t give up. Move forward. I was a cyclist for many years. Last year I had an accident during a race and nearly lost my arm. After allot of therapy and may hours of exercises my arm is now healing. The biggest thing that actually got me down, was the fact that I picked up so much weight. However now that my arm is getting stronger I have started to gym again. However have not gotten back on the bike. But I will soon as I don’t give up. Hi Michelle! I’m sorry to here about your accident. I’m extremely glad that you didn’t lose your arm. Losing an arm would have considerably change your life. I see that the change the injury to your arm cause is weight gain. I’m happy that your arm has gotten better and your able to head back to the gym and get your body back. Hey Francesca. I started this year with a bang! Went to the gym 5 days a week for 4 weeks straight. I started to lose my momentum a bit after that but I still go 3 days a week. It takes a lot of dedication and determination but I lost 6 pounds so far and I feel incredible. I hope to continue and I’ll keep coming back to your site for more inspiration and tips. Thanks for your help! Wow that’s great you were going to the gym 5 days a week for 4 weeks. Even though you lost your momentum 3 days a week is still good. It’s quite common for everyone to be excited about the new year and go to the gym often. But as the year dwindles down so does their work outs. You’re not alone everyone loses their momentum from time to time. I know I do. It’s not always easy to work out 6 to 7 days a week. It’s definitely a struggle! What helps me push through the pain is my determination. I’m determine to stay happy and fit. How about you what keeps you going? Yes Jon it definitely takes dedication and determination! I know you can do it! After all you did lose 6 pounds great job! I’m very happy that you feel incredible. Keep up the good work. Your very welcome Jon. Your more then welcome to come back! I have new posts every Friday!